Services are scheduled for 10 a.m. Wednesday, Aug. 17, at Terpening & Son Chapel for Duane Tucker of Artesia. Tucker, 85, passed away Aug. 13, 2016, at his home in Artesia, surrounded by his family. Jim Barnett will officiate at the services, with interment to follow at Twin Oaks Memorial Park. Pallbearers will be Eric Tulk, Cody Tulk, Chuck Tidwell, Stan Nolan, Frank Castillo and Joe Temple. Honorary pallbearers are Curtis Teel, Bill Joy, Bill Spencer, Jimmy Tucker, Don Young and Doyle Pounds. Visitation began at noon today at Terpening & Son Mortuary. Duane was born July 14, 1931, in Gorman, Texas, the son of Shelley Andrew and Cleo Izora (Cozart) Tucker. He came to Loco Hills in 1939 from Gorman. On May 19, 1953, he married Floy Louise Bruner in Walnut Creek, Calif. He was a diesel mechanic for Navajo Refining Co. and was blessed to work for 33 years at a place he looked forward to going every day. Duane was a member of the Hope Church of Christ in Hope and served in the U.S. Navy during the Korean War. 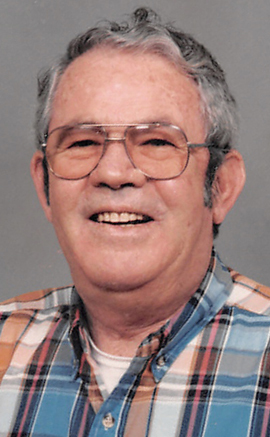 He enjoyed woodworking and loved hunting with his wife and grandsons, camping, and spending time with family and friends. He would help anyone who needed it. Survivors include his wife, Floy Tucker, of Artesia; daughter Nelva Tidwell and husband Vann of Ft. Worth, Texas; honorary daughter Joy Nolan of Lubbock, Texas; grandchildren Amber Castillo and husband Frank, Eric Tulk, Cody Tulk and wife Kaitlan, and Delanie Temple and husband Joe; great-grandchildren Aubrey Tulk, Taylor Tulk, Ella Tulk, Lucas Tulk, Lane Tulk, Ashtyn Castillo, Camdyn Castillo and Landyn Castillo; and numerous family and friends too many to mention. In lieu of flowers, the family requests memorial contributions be made to Lakeview Christian Hospice or J&J Home Care.